Okay, do you remember the last time you bought an electric appliance? Why did you choose a particular model and brand name over another? Was it the quality, design, price, color, or features of the product that convinced you to make the purchase decision? It’s no wonder that sensations and emotions have a profound impact on the customers’ purchase decision. Consumers usually make buying decisions based on the sensory pleasure that reminds them of a particular brand. According to some studies, decisions customers make about which brand to trust and which product to buy are truly driven by their subconscious and emotional factors. Consumers decide which brands deserve their commitment based on what they see, read and feel about them. In today’s fierce business world, businesses need to come up with some out-of-the-box marketing strategies to encourage people to convert and drive sales. Online marketers should develop brand campaigns that develop brand awareness and evoke the emotions of the customers. With sensory marketing, you can appeal to customers’ senses and build a strong relationship with them. By giving the buyer a great experience, you can create brand loyalty and an impressive brand image. Here’s why brands should implement sensory marketing in their brand strategy, how to make the most of it and some awesome sensory marketing examples for your inspiration. Sensory marketing is all about connecting with your customers on both a conscious and subconscious level. It is not new in the digital marketing field. Many established brands such as Coca-Cola have been implementing this strategy for long and taking their brand marketing to a whole new level. The ultimate goal of sensory marketing is to engage all the five senses of your customers with your marketing techniques. Brands are using sensory marketing as a psychological way of influencing customer behavior and purchase decision with the end goal of generating more sales. When it comes to creating a sensory marketing strategy for your brand, it is important to figure out the sole purpose of your brand’s existence, your value proposition, mission statement, and brand story. Think carefully about how you can convey your brand message to your target audience and how to use sensory marketing to achieve the desired results from your marketing campaigns. Keep in mind that sensory experiences trigger emotional responses while engaging customers with the product and setting your brand apart from your competitors. Appealing to multiple senses of consumers – touch, smell, sight, taste, and sound, can make your sensory marketing campaign more effective and help your brand stand out. Appealing to the five senses of your customers is not an easy task. With a little innovation and unique idea, you can come up with a great idea to emotionally connect with your prospective buyers and generate more sales. If you want to build a strong connection with your target audience, grab their attention and provide them with a memorable brand experience, have a look at these great sensory branding examples. The brand has been using multi-sensory branding strategy for increasing their revenue and profits for years. 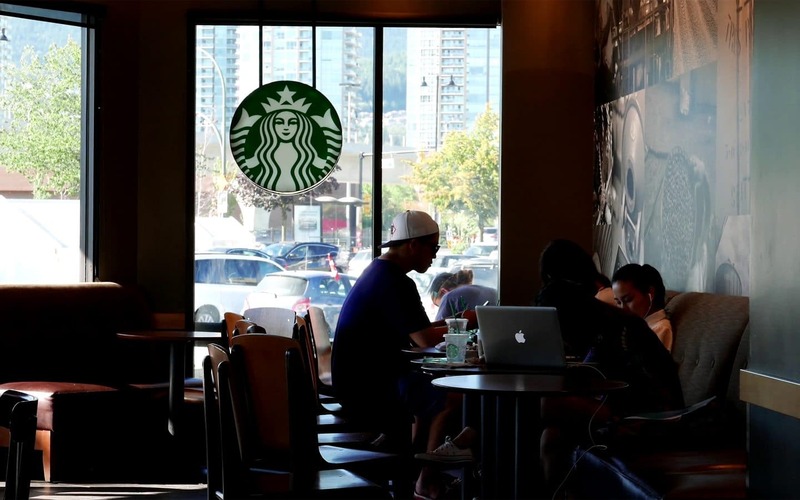 By leveraging sensory marketing framework, Starbucks satisfies the five senses of their customers that help them create a strong relationship with them. From the iconic flavors to tranquil notes floating in the air, the earthy aroma of coffee wafting through the nose, the tantalizing taste of freshly grounded coffee, and mesmerizing aesthetics, Starbucks customers don’t simply enjoy a cup of coffee; they get an amazing sensory experience of the brand. The Sweet Bakery has come up with a unique approach to sensory marketing by creating edible business cards that not only allow potential customers to taste their products but also provide them with the necessary information printed on the card. The packaging was chocolate coated, and the business card was a biscuit! Apple, the technology giant, is renowned for creating an iconic sensory experience that communicates its brand values and quality. The stores are designed in a way which stimulates customers to touch and play with their products. The brand provides an interactive experience to its customers by offering highly-immersive in-store experience. Apple stores are decorated with their standard color – white – that gives your eyes a soothing effect, packed with devices that evoke customers to touch and play with. In a nutshell, Apple stores are using sensory marketing strategy to advertise their products to their audience. Virtual and augmented realities are playing a great role in providing outstanding marketing experiences. These technologies allow brands to connect with their customers faster and on a deeper level. Marriott Hotels are smartly using virtual reality to create a 4D sensory experience, allowing customers to see popular vacation destinations. Guests can travel from a Marriot Greatroom lobby to different cities of the U.S. which will help them decide if they want to experience a particular destination in real life. The famous brand is intelligently using sensory marketing to make consumers aware of the brand, engage their senses and create a positive impact on their bottom line. The brand launched a sensory marketing campaign to attract more customers through the sense of smell. They installed aroma-releasing atomizers in commuter buses in South Korea that emitted the aroma of fresh coffee whenever the jingle of Dunkin Donuts played on the radio. This sensory marketing campaign generated a 30% increase in sales. Sensory marketing is a valuable technique that your business can use to improve its growth, brand awareness and connect your audience on an emotional level. Providing multi-sensory experiences to your customers will give them confidence that they are buying the right product and turn them into loyal customers. It helps brands create unique experiences for consumers, which will eventually influence their purchasing habits. If you want to increase your conversion rate, you need to pay attention to sight, sound and smell to effectively promote your business and maximize your brand impact. Has your brand tried multi-sensory marketing technique yet?